Intermittent fasting, in my opinion, is a wonderful and simplified approach to dieting. I’ve never felt more refreshed. Even though I hate to deprive myself of food (who doesn’t! ), fasting for 24 hours, once a week at least, is something I very much look forward to. 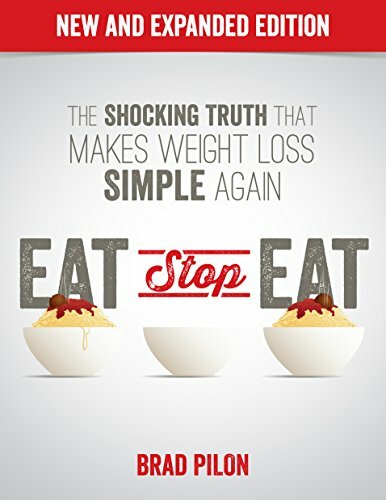 This is based on the Eat Stop Eat approach by Brad Pilon. After those 24 hours of no food, my body feels lighter, my skin feels better, and the best of all, my mind feels rejuvenated. It helps me regain focus on what’s important and makes me more productive for the rest of the week. These may just be psychological benefits, but in my own my, I love these fasting moments. Of course I wouldn’t last more than 3 hours without food, if it wasn’t for Coke Zero. Yes, you can have zero calorie beverages such as coffee or tea with no sugar or milk, coke zero or any zero calorie beverages. It’s not good for the bones. I know, but I don’t fast frequently so I don’t really bother that Coke Zero can be harmful. If you can tolerate tea or coffee with no sugar or milk, I respect you to a very high degree, because I would personally just throw up. Start with a good breakfast on the day I’m about to fast. My breakfast has no carbs except for veggies. I usually love 1-2 scrambled eggs with a whole tomato. Add half a sausage on the days I feel like it. I’ve actually started this breakfast without carb approach like a month back, and it really makes a difference on how I feel the rest of the day. Have my lunch by 12 to 1pm. It’s a normal lunch as usual. Nothing special here. Have my milk tea at 1.30 to 2pm with a 3 to 4 of my favourite cookies. Yes, I tend to have these before starting my fast as that would be the only craving I get while I’m fasting. Funny, I know. I stick with water while I’m at work until 5pm and then it’s time for Coke Zero. I usually take my time with a 300ml bottle. I don’t chug it. It’s just a few sips here and there to forget about food. Depending on how I feel, I may break my fast anytime between 12 to 2pm as I’m addicted to the morning caffeine. I break my fast with delicious Vanilla flavored black coffee. Have my lunch at 2pm. That’s the basic gist of how I enjoy my fasting days. It’s best to stay active with work, get out of the house, wash your car or do something to take your mind off the food cravings. If your goal is to lose weight, I would suggest you fast twice a week on fixed days. Make it an appointment that you MUST attend without failure. That is the only way you can be consistent enough to expect results. If your goal is to build muscle, feel healthy or stay lean while enjoying your food without counting calories, then once a week like I do should be fine. I workout with weights or suspension straps 3 days a week, with 1 additional day of interval training for a total of 4 workout days. I helps me stay lean and relaxed. It helps me maintain a lifestyle that doesn’t take too much time out of my life. I enjoy spending time with my wife and son and it would be a terrible thing to do, if I get too serious with fitness. It could hinder our active and social life. What is your excuse? Care to comment.